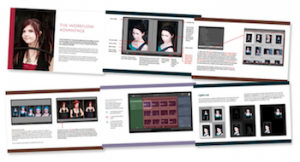 Master Lightroom in One Simple, Easy Read! Learn how to use the Library Module to import, organise and search your images. Save lots of time and spend more hours to be creative. Remember, this SnapnDeal won’t be available for long! Perhaps the biggest advantage of Lightroom over programs like Photoshop is that Lightroom gives you control over your entire workflow, from the moment you import photos from your camera’s memory card through to processing your Raw files and exporting images. Yet most photographers seem to go straight to the Develop module, and push the task of learning how to use the Library module to the side. 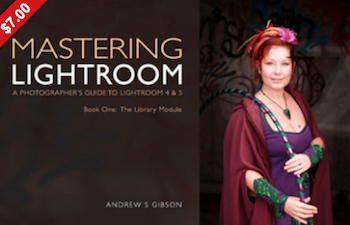 Mastering Lightroom: Book One – The Library Module changes that. It shows you how to use the Library Module to import, organise and search your images. This important task lays the foundation for the work you do in Lightroom. Mastering the Library module ultimately saves you time, which you can spend either in the Develop module or with your camera. Either way, you end up with more hours to be creative. It explains how to use the Library module in simple language anyone can understand. It’s easy to read. The pages are laid out and beautifully illustrated, making it easier for you to learn. 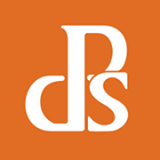 It has depth and will become an invaluable reference guide as you learn to use the Library module. It has practical solutions and will show you how to take control of your growing photo collection and get it organised so that it’s easy to find the image you want when you need them. How Lightroom can help you take control of your photos and get them organised. The important things you need to know before using the Library module for the first time. This section helps you get into the best habits right from the start. 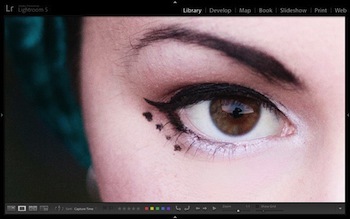 The new additions to Lightroom 5 that set it apart from earlier versions of Lightroom. How to organise your Raw files so that it is quick and easy to make regular backups. How to import images and use presets to save you time. Which settings you should use so that Lightroom runs as fast as possible. The benefits of the DNG format and why I recommend that you convert your Raw files to DNG. How the Lightroom Catalog works and why it is such a good way of organising and processing images. What the Grid, Loupe, Compare and Survey views are and how to use them. How to search and organise your images. How to use Collections, Collection Sets and Smart Collections. Why Collections are so important and how you can use them wisely to organise your images and save time. One of the key sections of the ebook shows you how to use Collections to narrow hundreds of photos from a shoot down to a handful of strong images for processing. How to rate images, and use flags and colour labels. What each of the left and right hand panels in the Library module does, and how to use them. How to use the Lightroom Publish Services to export images to your hard drive, or to websites like Flickr, Facebook and 500px. How to use Koken and the Lightroom Publish Services to create your own photography portfolio website. My interest in photography began when my parents bought me a Ricoh KR-10m camera over 20 years ago. Since that day I progressed from colour negative to slide and black and white film and finally to digital, when I bought my first digital SLR, an EOS 350D, in 2006. During that time I’ve taken photos in over 60 countries, studied for a degree in photography and worked as Technical Editor for EOS magazine. Now I’m a freelance writer and I make a living writing about photography. In recent years I’ve lived in the UK, China and New Zealand, which is now my home. My clients include EOS magazine, Craft & Vision and Peachpit Press. 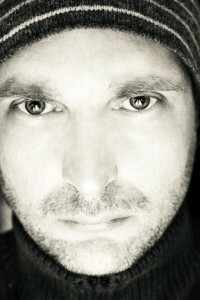 I also carry out technical editing on forthcoming photography books, and design photography courses for Foto-Classes.